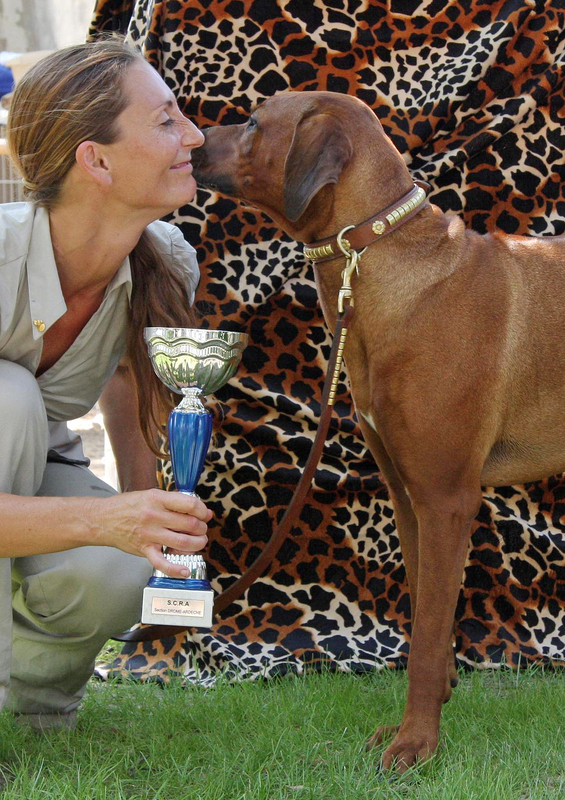 Zola the Rhodesian Ridgeback Girl | …a big dog's life! 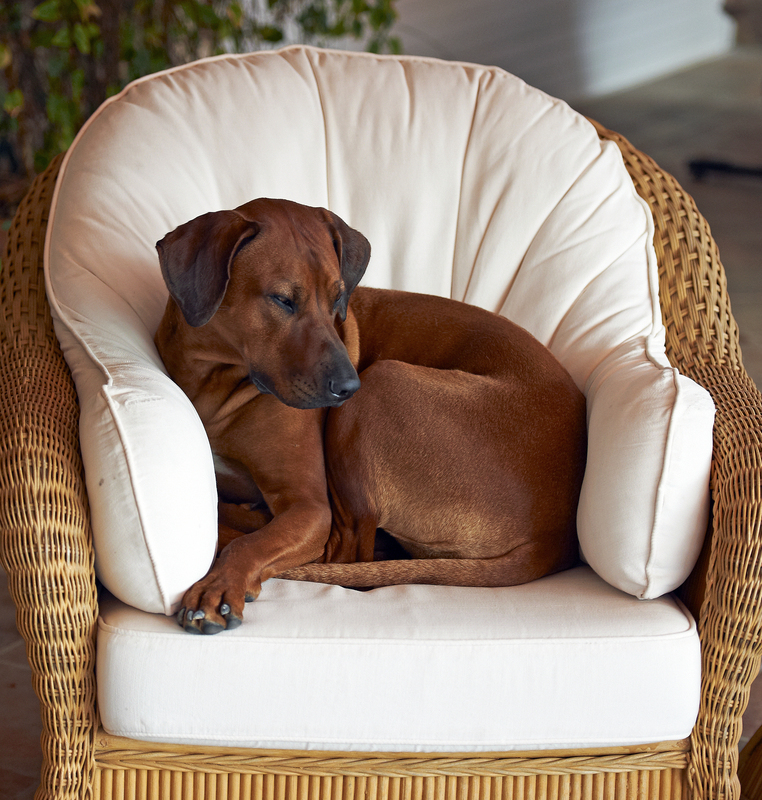 I’m a Rhodesian Ridgeback Girl who has recently swapped mediterranean life of blue skies and sunny beaches on the French Riviera for village country life, ancient forests and wide open skies in Norfolk, England. There are some great dog blogs & websites from around the world sharing stories about how us dogs live & learn, our favourite places and the super adventures we enjoy with our humans. So, I thought I’d like to join in! You may recognise me as the ‘African lion dog’, but I’ve never seen a real lion (I’ve got a lion stuffie toy!) and I’m a long way from South Africa. 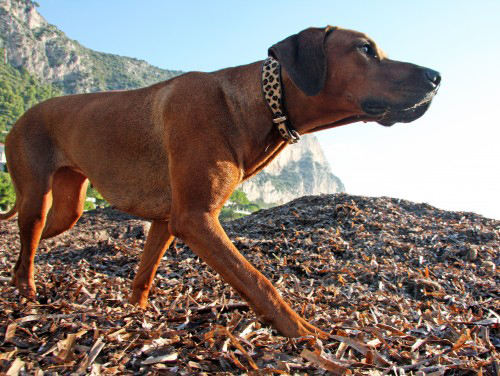 In fact, us expat Rhodesian Ridgebacks have become quite the World Travellers and International Jet-Setters! Humans are amazed at the ridge on my back. The ridge is formed by the hair along my spine growing in the opposite direction to the rest of my coat. Just less than one third of the way down on either side of the ridge is a whorl of hair known as a ‘crown’. Human-puppies think it’s a magic ridge with a halo…now thats cool! 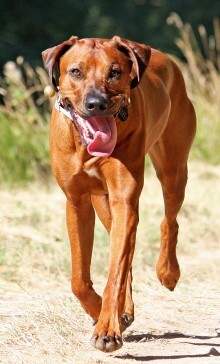 I’m a very outgoing Rhodesian Ridgeback Girl! As a budding doggie-reporter with a ‘Time Out’ Blog for Dogs on the French Riviera, my human and I love exploring dog-friendly walks, places and activities. I hope you enjoy having a look around my website! Please bark a comment or hello to us sometime! She’s adorable! Such a beautiful colour and a really good natured dog. Very regal! The best looking dog ever to visit Villa ‘Oa ‘Oa ! Bex just told me you had the website up and running – how exciting. Zola must have spent hours and hours putting it together! Hi Lindsey! Thanks for your message – Yes I’m learning all the time and thoroughly enjoying it! Great blog Vikki! Lovley dog! I can certainly help you there. I will write you an email direct. Thank you for your comment. Glad to meet you, Zola! We happened to notice you were friends with one of OUR blog friends, Remi, at Company of Lions! You are lovely and we’re happy to make your acquaintance! Hi Zola – great blog! We’re in Switzerland with our Rhodesian Ridgeback ‘Stuiver’, she was born in Holland and has travelled with us through France to our current home, she’ll be 10 years old next month. Our daughter is wondering how you translate the name Rhodeisan Ridgeback as she wants to be able to tell her French speaking friends what type of dog she has, have you a solution for this? or ‘ c’est un chien du sud de l’Afrique (très connu là bas). Ce qui caractiérise la race est la crête dorsale formée par le poil qui pousse dans le sens oppossé au rest du pelage’ – if children ask my human about me, she says I am un peu come Scoobie Doo avec un dos magique..! She tends to leave out the idea that I am’ un chien du lion / Chien Lion’ since she thinks that children will think I am a scary lion…yikes! Look forward to following your blog! P.S. Your Ridge is very cool!! Firstly, you have a wonderful blog! Such lovely photos, interesting topics and beautifully written posts. Thanks you for coming to introduce yourself – I am going to enjoy following your adventures. 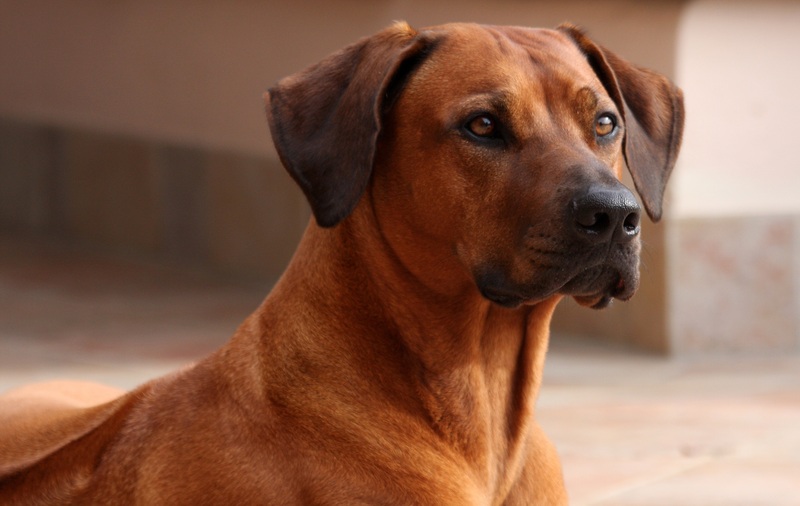 I had a Rhodesian Ridgeback as a child – on a rural farm in SA. 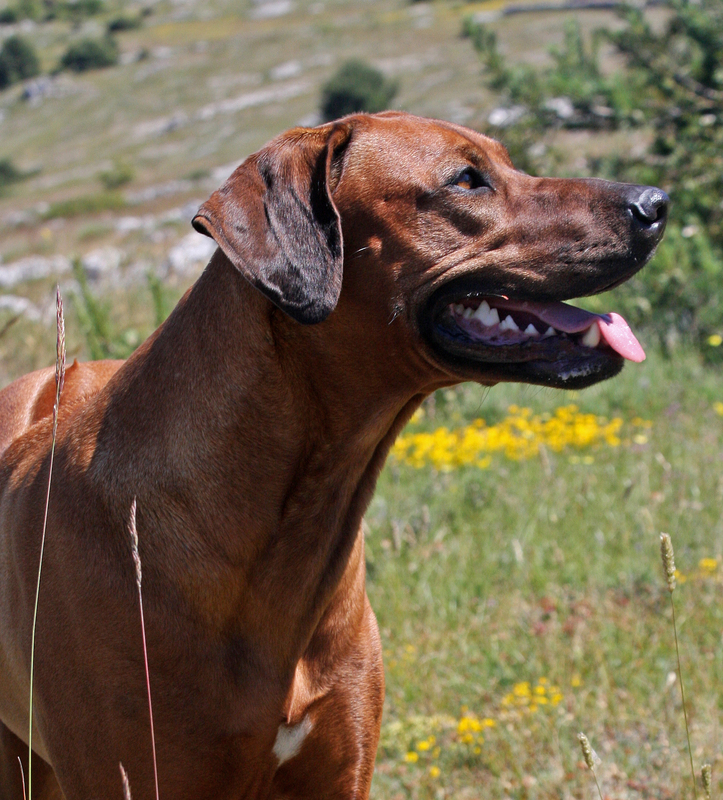 They are fairly common here in SA…beautiful, statuesque dogs and great helps on farms. Hi Vikki and sweet Zola! 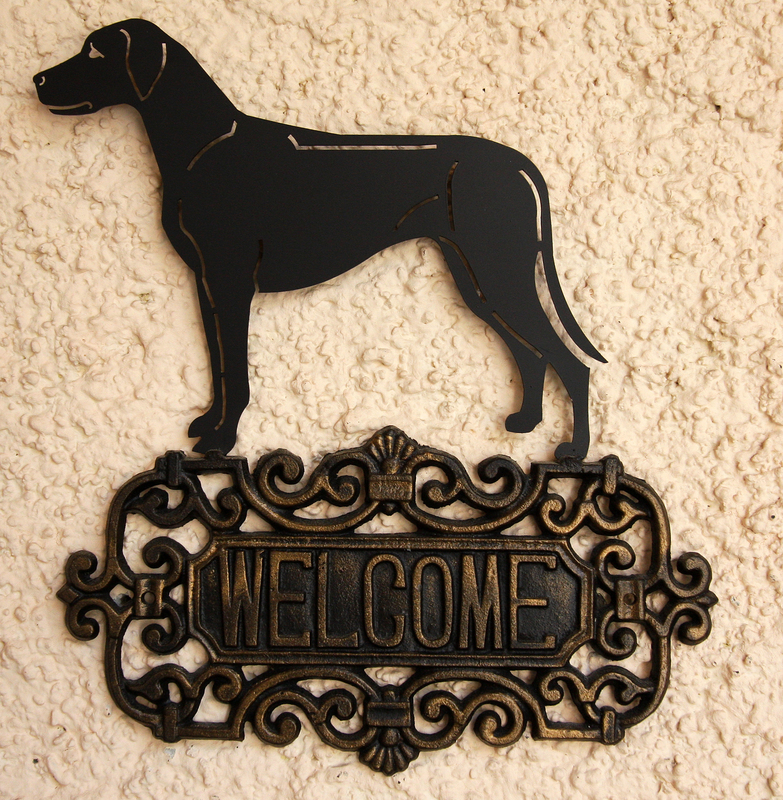 My name is Elizabeth and Paula sent me to your blog as I will soon become a first time Ridgeback owner! First, I must say, what an awesome blog Zola has going on here! I love reading about her outings and her life on the French Riviera! A dogs life really couldn’t get much better than this. I will be moving with my family to Bordighera Italy in April of 2012 and very soon after getting my RR (hopefully from Paula because after being in contact with so many other breeders, Paula hits my heart). I would love to catch up with you and Zola once we arrive. Please keep up the blog, it’s not only fun to read but also good learning! You have my email so please feel free to email me so we can keep in contact. Bonjour Zola! you ARE big. you’re just like my friends Mana and Tora and my ex-boyfriends Jack and Monty! we have a lot of ridgys here and they are some of my best friends because they play just as madly as i do [or used to]. the French Riviera looks very exciting! 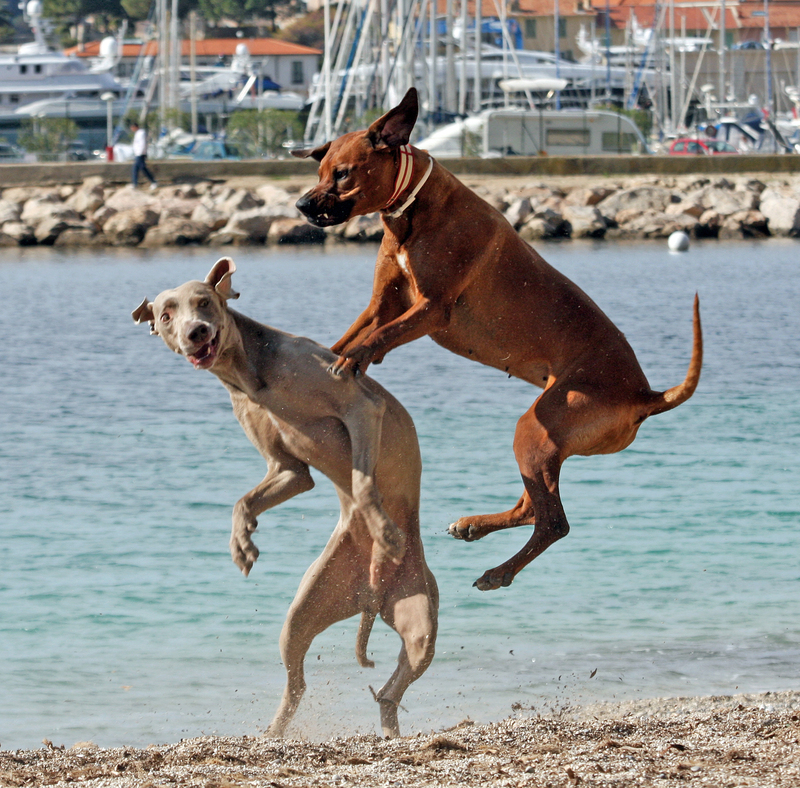 you’re the 1st French Riviera dog i’ve met! i am very jealous that you’re allowed into all those places like post offices and banks. we’re not allowed anywhere in Sydney. My Typist sometimes gets huffy about that. it’s OK, i tell her, i’m a dog. just take me to the park and beach. oh well. ce la vie. OH! How nice of you to drop by my place! (And for Rottrover to link me….). You’ve got a great blog there Zola. I’ll be sure to keep up with you and your adventures. Thanks for the kind comments on my recent post Vikki and Zola. Your world is certainly going to be a lovely one to watch…dreaming about the South of France….doesn’t everyone do that! Zola, you are gorgeous and I’m sure you get mucho attention…some of the pictures indicate that already as we browse your blog. ALWAYS HAPPY to find a new follower and doubly since you follow Guinness and Maggi from NS…..I’m checking out Invictus as well…..I certainly hope you are having a grand holiday season….looking forward to more of you!!!Sophie….Ron…Jim!! HI Zola, Thanks for stopping by our blog to visit. 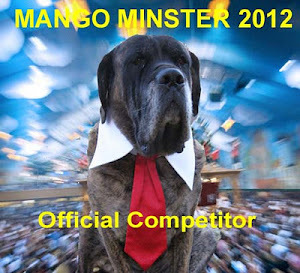 We want to wish you good luck at Mango Minster. Last year our daddy Fudge won readers choice for Bad Sports. This year Baily is with the adventurers and Noah is one of the Cutest. It’s lots of fun. I have a question about one of the pictures. I would like to use one of the pictures in a book. Can you please contact me at robert (a) unitedstateoffans . com. Hi Zola, thanks for stopping by our blog. 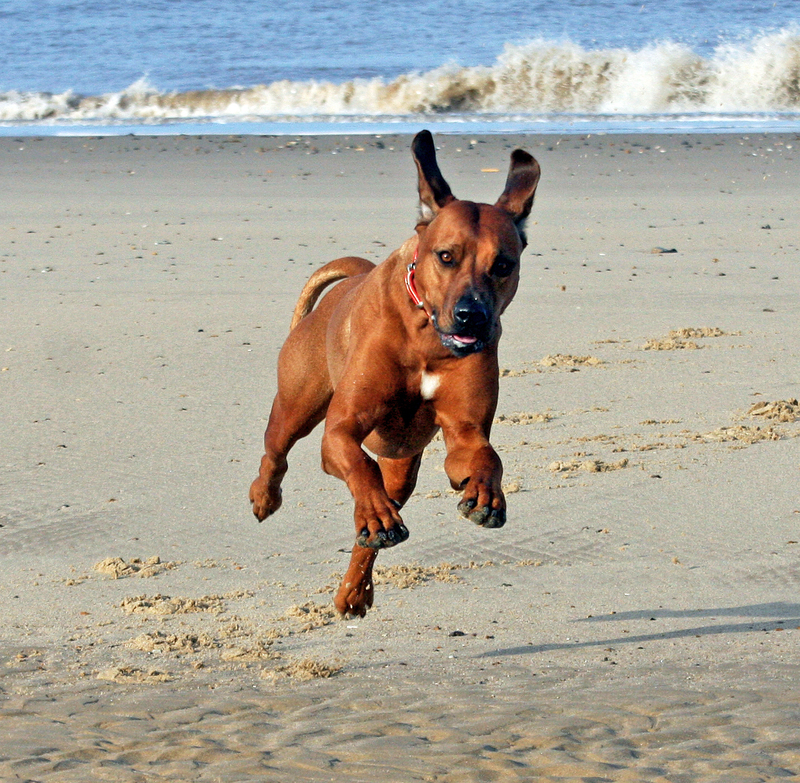 We don’t know any REAL Ridgebacks….just Roxy, our Rescuepup who’s a Bull Terrier/Ridgeback. That’s why she’s so spotty. We don’t know where she got her basset legs, though. Sounds like you live in a fantastic place. We’re in the middle of Australia and aren’t really allowed to go most places where there are humans. But we have fun anyway. We’ll be looking for you in the future. I had so much fun looking at your website, my name is Zola too! Unfortunately, I live in Israel where everyone thinks my mommy named me cheap (cheap=zol in Hebrew). Even though I am a mix of many types of dogs I somehow look a lot like you! Also, I like pig ears too but I live in an apartment so my human doesn’t like when I try to bury them at home. We loved the last photo of you and Zola! Amazing! Thank you! We enjoyed looking at your super website and services..congratulations..you must have a wonderful job. Here’s our most recent blog post that might amuse you..
Hi Vikki and Zola! Great website! And amazing pics! She is so beautiful. Thank you for running across my blog so I could find you and Zola. Looking at all the pictures of her makes me miss my Riley. I will live vicariously through you until I can bring home another Ridgeback. Que je suis contente de t’avoir retrouvé! ton chien est magnifique et j’espère que mes petites chiennes pourront faire sa connaissance un jour! Tu peux les voir ici, mais aussi dans d’autres pages bien sûr! au plaisir de te revoir mais de toute façon, je m’inscris!! What a beautiful blog! Unfortunately, my family just lost our beloved Ridgeback and we are really suffering for it. May you and Zola have many happy years together. All the best to you. Hey there Vikki and Zola! 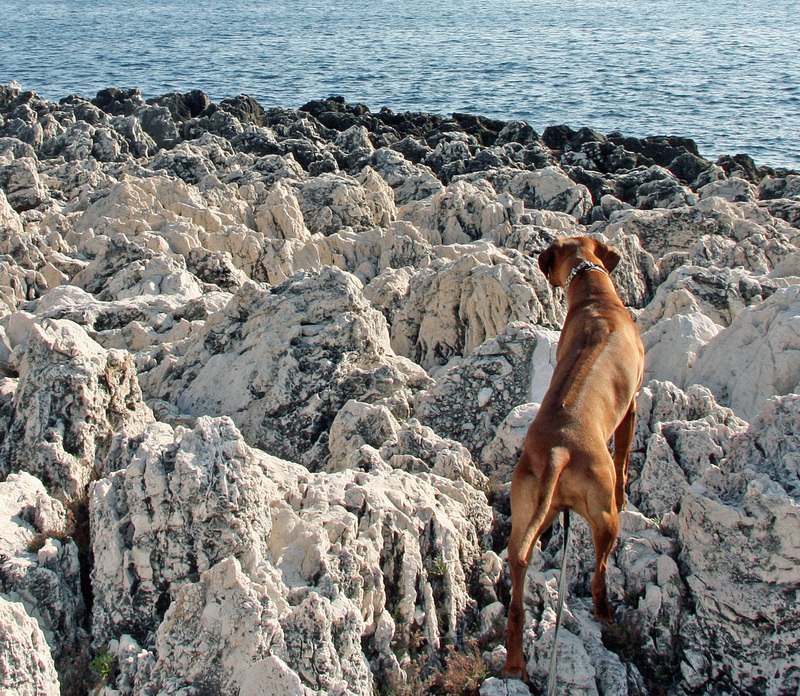 What a fantastic “Dog Blog” and breath-taking photos you have of Zola… amazing!! Have a great day and give Zola a scratch for us! I also enjoyed very much meeting your mum and dad and your grandparents…all exceptional people. In the meantime tell your mum that we loved Olivo…thank you v much for recommending it.. Please get in touch next time you are in London..
Would you mind letting us know where Zola came from? Breeder? Just became a follower. Your pictures are beautiful, I viewed them three times. Love the shot of Zola in the air side-swiping the grounded dog. The look on that dogs face is priceless. Hello – Thank you for your enquiry – try http://www.imkahena.com – it is Paula at Imkahena that you should contact…Good luck – say that Zola helped you find her! hello– absolutely love your stunning photos — did you take them? If so, congrats. 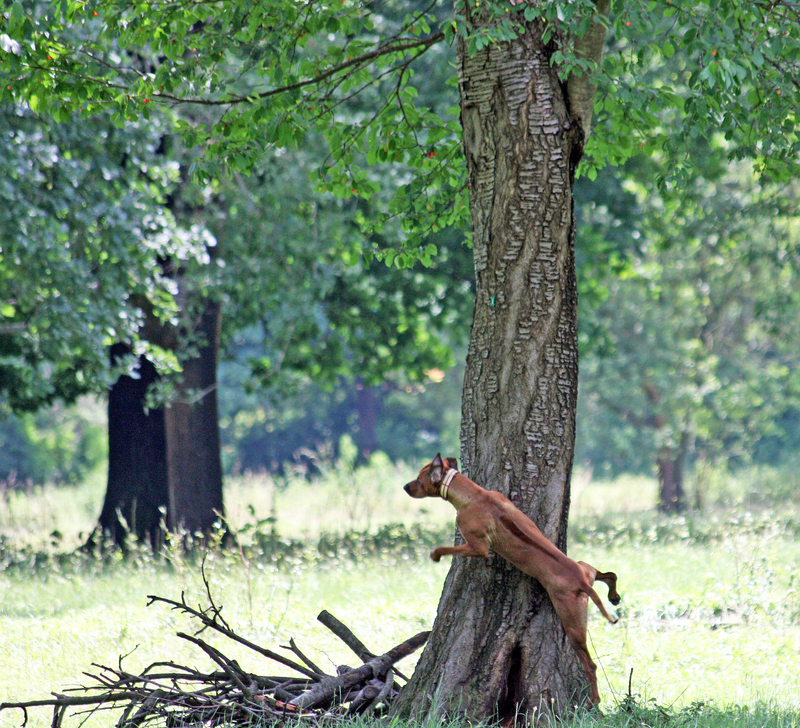 I also adore the tree-climbing shots and I’m so envious that you had a good camera to hand. We live in the south of France, it looks as if you’ve moved to UK? Hi, These are absolutely superb shots. So full of life, expressions and an intrinsic positivity to be alive. Your passion is clearly revealed. Thank you for your kind message Shakti. Hi Zola and family,how are you all doing?hope all is well in your world. Thinking of you and sending love to you and all your family. 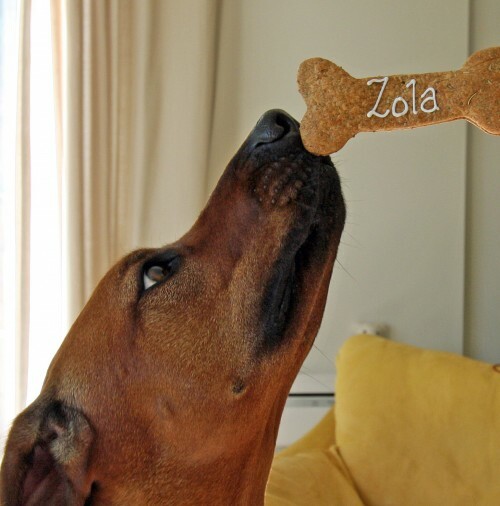 Hello Zola the Ridgeback from……. Zola the Ridgeback! A friend sent me a link to your site when she saw that your name was Zola! I live in New Hampshire, USA on a beautiful river with my “sister” Ridgeback Sabrina, aka ‘Brina. Too bad I hate to swim! I was named after Zola Budd, the great (and controversial) olympic runner – we both run barefoot! Mom says that I am a princess, and I believe it! I just turned 11 and I have finally matured (Mom says “NOT”). I still chase squirrels (and bears and moose), although I’m just a little bit slower than I used to be. I love your website and I wish you lots of fun and many more great adventures! P.S. Your Mom takes great pictures! Thank you for your super message, it made us smile. 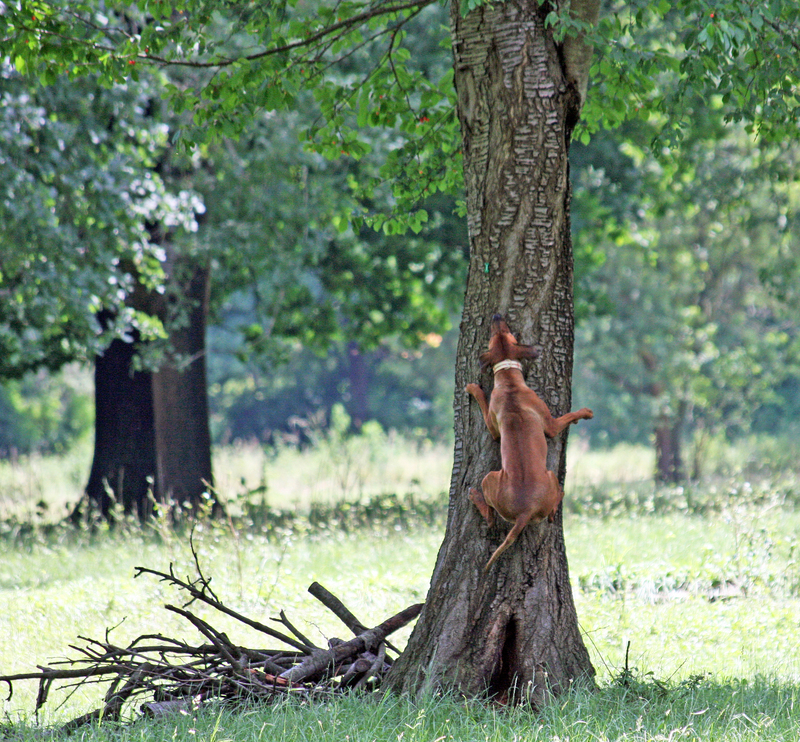 Nice to know there is another stylish squirrel chasing Ridgeback Princess out there sharing the same beautiful name…and we must share the same RR-Princess international motto: ‘keep your human busy on her toes’…hee hee. Thanks for visiting my blog. I am very flattered to receive a message from a wiser, experienced 11 yr old Ridgeback lady..(I’ve just turned 4!) Aroooofs from England. i see the verry nice pictures from you, and a verry nice blog. Beautiful! I have two of my own with one on the way. These are the best dogs! Hi Vikki and Zola just discovered your website which is fantastic Zola you are wonderful and give some great advice I have just become a new first owner of a Ridgeback which I also call Zola she is 3 months old now and so cute. I hope I can take some good training advice from you. We also have a 6 year old Weimar called Vetch which she adores. I will definitely continue to follow your blog. Thanks for your message Jackie – Zola and I have been soooo busy at the moment we haven’t been keeping up with our blog recently! Life must be very exciting for you at the moment with your ridgie-pup – hope little Zola is keeping you on your toes. Vetch must be rolling his eyeballs at her energy levels eh? The most important that you need to consider before breeding happy, healthy puppies is your female dog. She need be in heat first before she can breed, which normally happens every six to seven months. However, even though she may go into heat while she’s young or even though she came from big dog breeds, she still may not be physically mature enough to carry, deliver, and take care for her new babies. That is why you should wait until your dog is physically mature enough before you can think of breeding her. For some breeds, this may be two or more years of age. 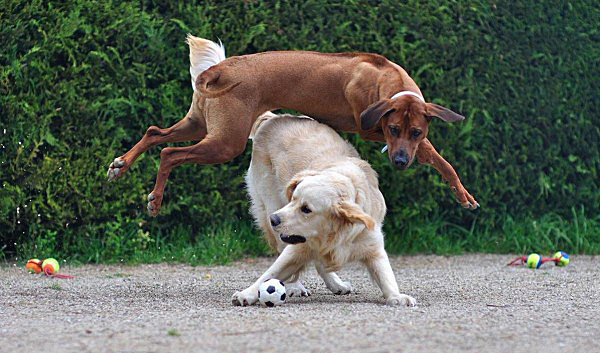 But, for most small dog breeds, they mature a lot faster than middle dog breeds and big dog breeds. Great site! We have a 3 year old Ridgeback female named Kira who has, as you can imagine, found her way into our hearts. My 3 boys absolutely love her. We had her since she was 12 weeks old. Now it’s time for a change and we plan on moving from NJ to the Big Island of Hawaii this coming summer. I have been on the Depart. of Hawaii’s website investigating the moving process of getting her onto the Big Island. It’s an extensive process. I have never traveled with a dog before since she is our first. 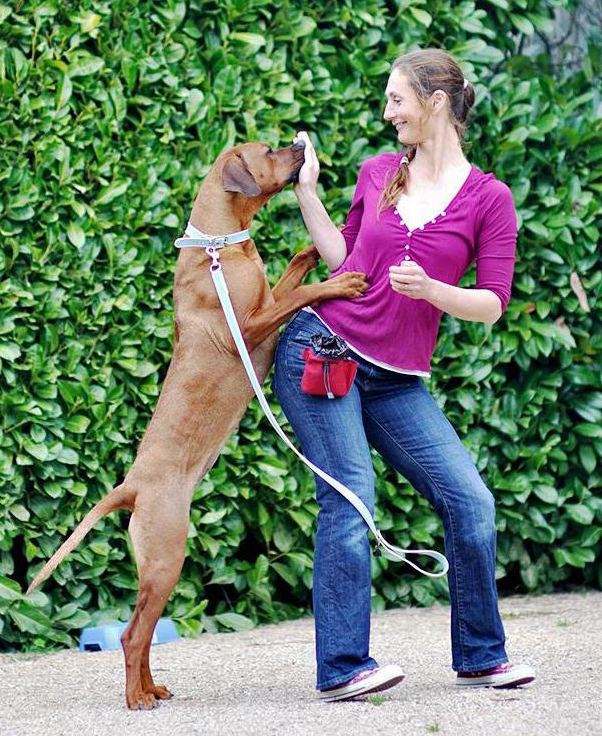 Any tips or suggestions from anyone who has traveled with their Ridgeback would be great. Thank you. Pretty girl. Who is you daddy? and Mum? 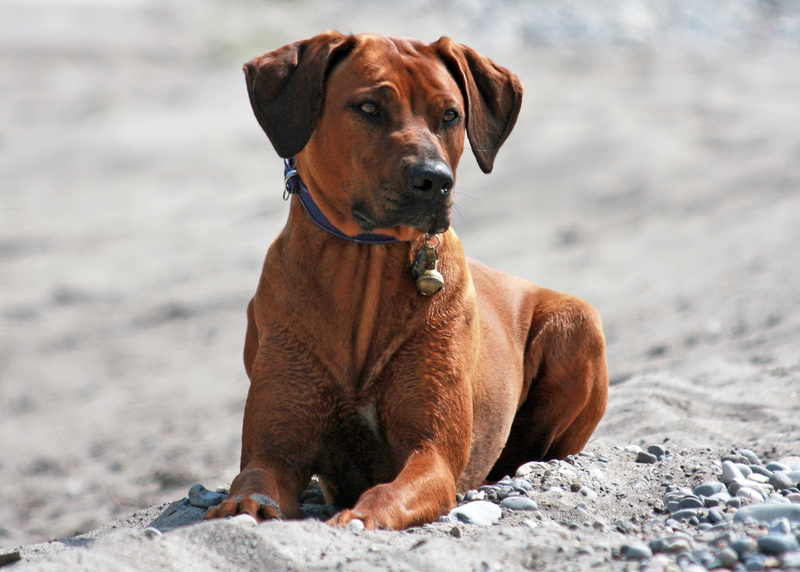 I’ve always loved ridgebacks and hope to one day be a proud owner of one! I was hoping you could help answer some questions. 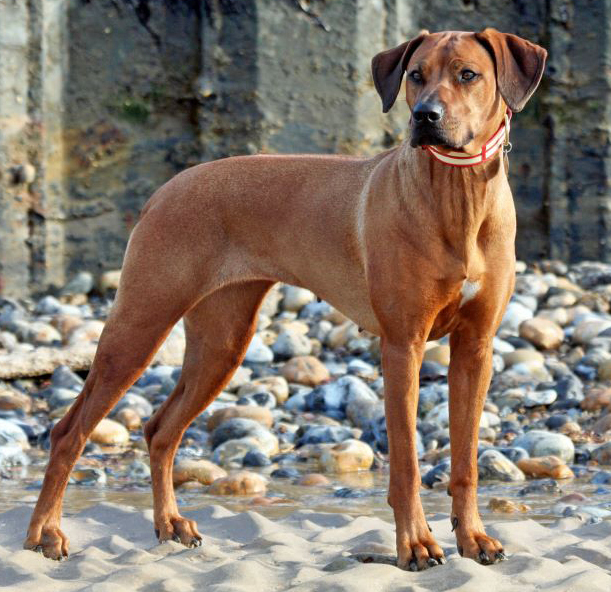 Zola seems to be the have the perfect ridgeback look – strong, broad, with a big round head, not too long of a snout, and most importantly that beautiful reddish brown coat! 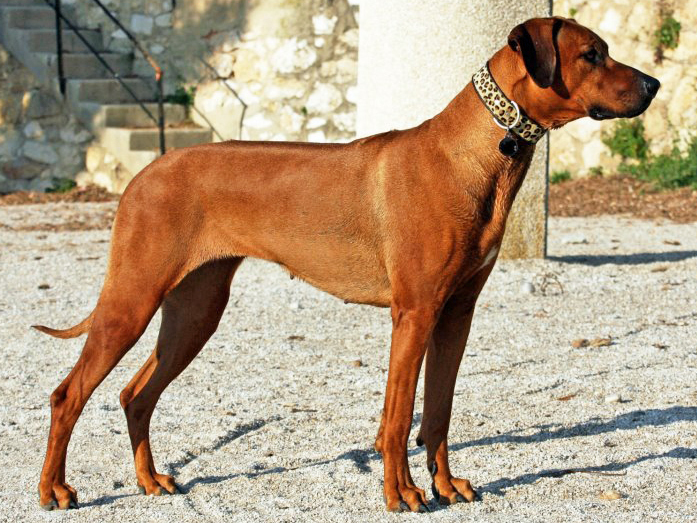 that, when finding a breeder, I can get a ridgeback with that classic look that Zola boasts so well? 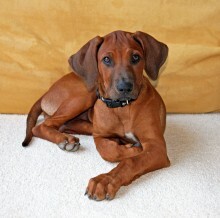 I may seem picky but I figure if I’m going to own a ridgeback, She/He might as well be as perfect as possible. Thanks in advance for taking the time to reply and keep up the great blog! Hi, would Zola like to meet my 3 year old red Boxer boy for a play and maybe a sleepover? Second best looking Ridgy I’ve ever seen. Hi, I like your picture of the donkey and was wondering if you didn’t mind if I painted it. Hi! 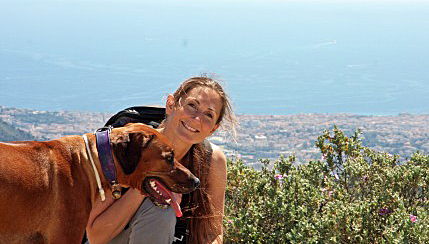 My name is Mary – we live in Durban (where Zola was born) with our three Ridgebacks and a dachsie-mix. They are such incredible creatures and we are blessed! We lost our old male (10) last year to cancer and were distraught. We now have two “pups” – our female is just over a year old and our male is 7 months old and our old female, who turns 10 this year. 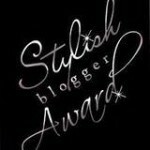 We so loved following Zola’s blog and were wondering how you were all doing! It would be great to hear from you! Thank you Lori I would love that x sorry for delay – Zola has a little toddler brother that keeps us so busy – I’m looking forward to restarting the blog very soon!